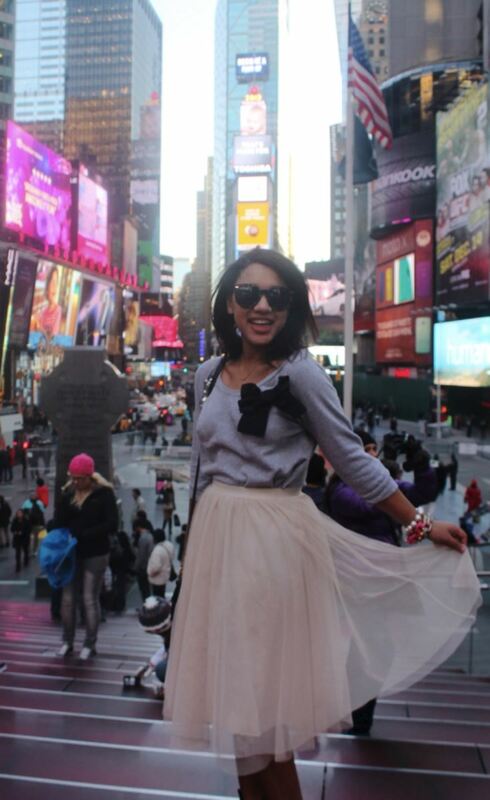 Fashion Friday: New York the Stylish Way, with Courtney Q. Fashion weeks across the globe are coming up, kicking off in fashion capital number one – New York City, so we thought who better to give you an insight into their city other than a fashion blogger who loves their city and can give you the best 411! 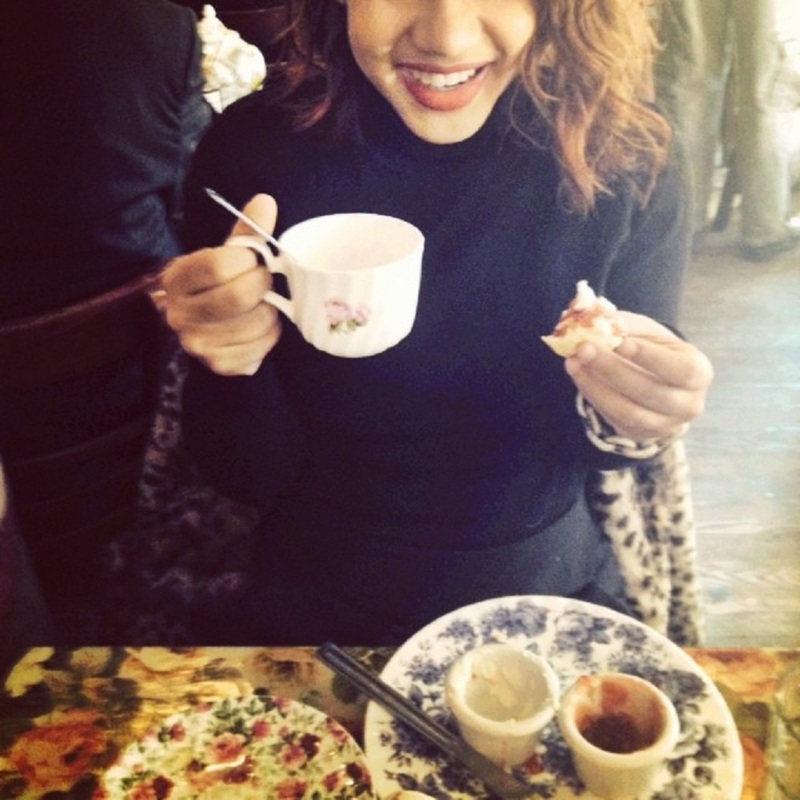 She's given us the trendiest places to wine, dine, shop and sleep and oh, some intelligence on where to go and where to avoid. Sweet right? 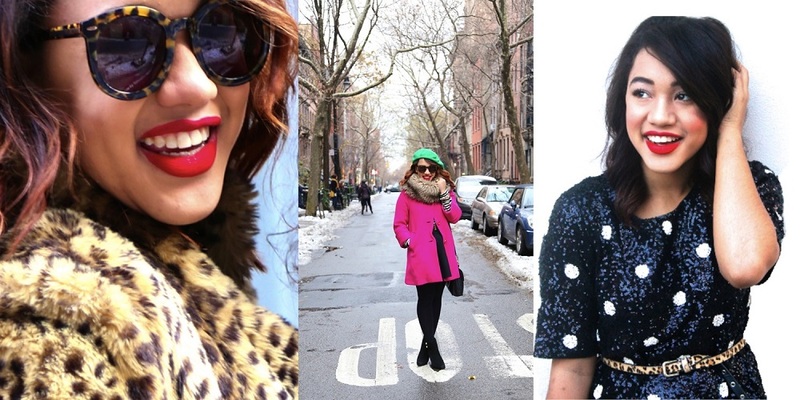 Meet our NYC fashion blogger: Courtney Q.
I'm Courtney Q, a quirky New-York based twenty something with an out-of-the-box sense of style and a slight color obsession. I was born in Arizona and channelled my inner geek while studying in San Francisco, but am a New Yorker at heart and have finally made my way to the Big Apple! My 9-5 consists of styling clients (Paper Doll Styling), partnering with brands via my blog and working in production for Tommy Hilfiger. I'm a bit of a workaholic, but when I do have a day off, you'll find me treasure hunting after brunch in my charming neighborhood (the west village) with my French Bulldog, Waffles. Why New York? What do you love most about your city? Why Not! There are so many reasons to love NYC that I couldn't just pick one. First off the fashion here is to die for and everyday is a runway, even the children are dripping in enough designers to make me envious. Everything worth watching is filmed in New York, so you feel instantly connected to Carrie Bradshaw when walking by the library and can't help but squeal after watching Blaire Waldorf shop in your favorite store while overdosing on old Gossip Girl Episodes. And if that wasn't enough, Soho is a dog-friendly shopping mecca, you can get a waffle, donut or anything else at a food truck and everyone delivers! Walking! I grew up commuting in a car, but I couldn't imagine returning to that now. I walk almost everywhere (even in sky high stilettos), and don't even miss driving! Plus if I ever crave four wheels and the wind in my hair, a quick flick of the wrist and a "yoo-who, taxi" will cure the urge. What is the first thing you do when you return? There's an darling little Tea Spot in my neighborhood that I cannot live without, so I always scurry over to catch up with girlfriends as soon as I return home to NYC. Tea and Sympathy is a British owned and operated tea house and restaurant that serves the most addicting cream tea and delightful little scones, plus the owners are so sweet (one helped me carry furniture home once when I was struggling on the street) and the proud owners of an adorable English Bulldog. I'm a sucker for the Plaza it's beautiful and in an amazing area, an absolute must see for any visitor. 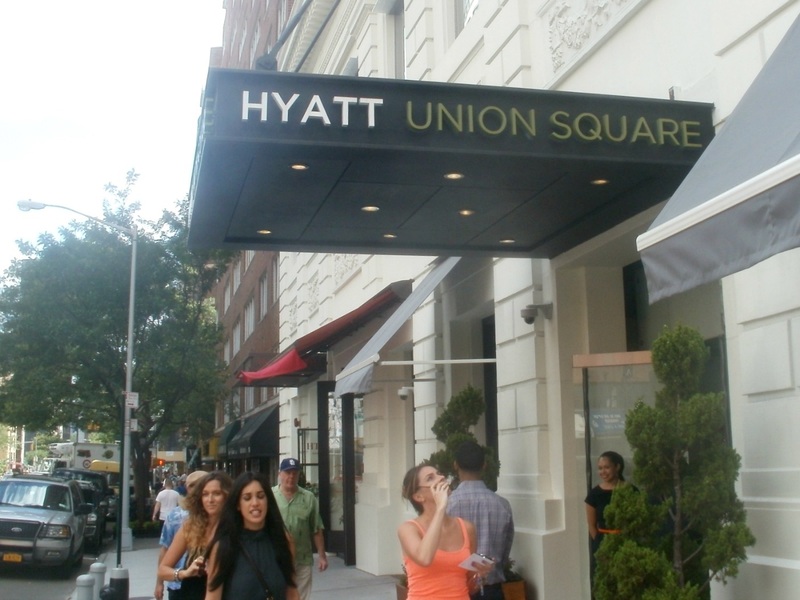 But I am a downtown girl at heart, so when my family comes to the city we all stay at the Hyatt Union Square. They all know us there, plus they are dog friendly so I can bring my Waffles! I'm a broadway superstar, the world just doesn't know it yet… Oh, and I can't really sing either; but my friends at Marie's Crisis don't mind and let me sing along despite my tonedeaf-ness! So when meeting my friends for a drink in my neighborhood, we turn to the best piano bar in the Village! Marie's Crisis is a gay bar, so we get to have a girls night out where we sing and dance till dawn without getting hit on. I also love Little Branch for some light flirting and custom cocktails (cash only)! I probably shouldn't tell you this, but you can find the best burger at 219 Mulberry Street, Shhh... Ruby's is a charming little cafe located in the heart Nolita open for "breakie", lunch and dinner. Their prices are amazingly affordable (cash only) for NYC and their Bronte burger is absolute bliss on a bun, where the bun is actually a ciabatta! Plus Ruby's also has an Australian influence, complete with signature dishes and adorable Aussie waiters with equally-adorable accents. Cheese lovers prepare yourselves… The Cellar at Beechers is a working cheese cellar in the Flatiron District where they actually age their own cheese, resulting in the "world's best" mac and cheese (gluten free is also available, and just as amazing) among other tasty bites. But before you dig in, make sure to start your meal with a cheese plate for the table, I always let my server surprise me and they never let me down. Best place to club it up? Le Bain at the Standard is a swanky NYC must with a rooftop panoramic view to die for. I also love The Jane Ballroom ith it's darling vintage decor, plus it's a great spot for spotting celebs! Where is the best place to shop? 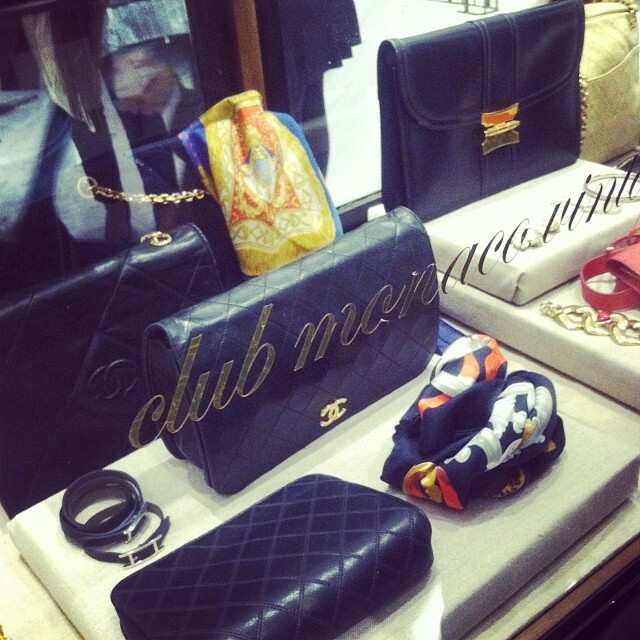 I'm currently obsessed with newly renovated Club Monaco store on 5th Ave. This store is the ultimate flagship, complete with a mini Strand Bookstore, Toby's Estate Coffee, 1920s haberdashery men's display, flower shop and vintage display. Club Monaco is not the first of the lower 5th ave stores to undergo a monster makeover, be sure to check out the newly renovated Zara and brand-spanking-new Coach that's a must see. Where would you take a first time visitor? If you visit me in NYC, you better be an adventure seeker with a sweet tooth! For first time visitors, I'll venture uptown to Levain Bakery to watch their world change as the bite into the most delectable dessert they have ever tasted. After we are full of cookie magic, I'd walk them over to the Museum of Natural History (my favorite museum in the city) to battle lions, tigers and bears (oh my) before relaxing under the big blue whale! Times Square… before midnight. 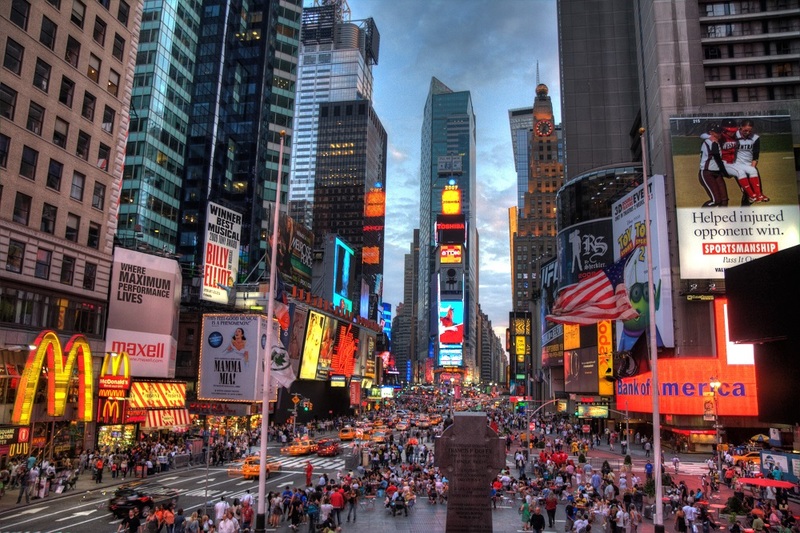 It's no question that Times Square is a must see, but it's also a mad house! Despite the slow-moving sidewalks, hurried New Yorkers and smiling tourists walking three abreast, it's one of my favorite places in the city, if you pop by after dark. So I suggest skipping the mid-day-dash and attending Times Square at 2am, you'll miss the crowds and keep the bright lights! Besides all the obvious tourist hot spots, what is the one absolute must do thing in your city and why? Jane's Carousel and Brooklyn Heights. Most people travelling to NYC never venture across the bridge, but the Brooklyn Heights Promenade is a must-see! The view looks out at the East River, touching the Manhattan skyline and is bordered by beautiful brownstones, townhouses and mansions. After the promenade has taken your breath away, channel your inner child at Jane's Carousel, a historical whirl-wind from 1922. As part of our Fashion Friday series, we are giving away a pair of tickets for London Fashion Weekend coming up 20-23 February. 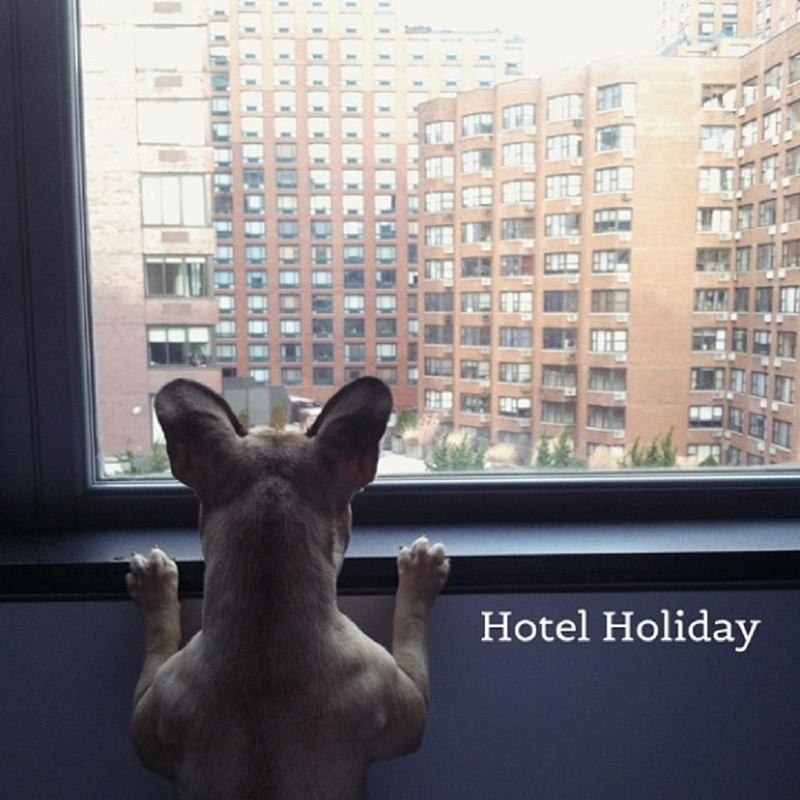 To be in with a chance to win just head over to book your hotel room back via our home page or on our special offers page (counted as two entries when you book on RoomSuggestion) or write a hotel review (counted as one entry) now. Copyright © 2014 HBFS Bilisim Inc. All rights reserved.